It is dark, it is still traveling by bicycle and want to be seen by other road users again. With the bicycle lamp Trelock 950 ION this is no problem. This powerful battery lamp can not stand in the dark one on the road and around premises. The bicycle lamp is fastened with a plug connection to the bicycle. For this purpose, the holder is preferably mounted on the handlebars. The battery lamp can be easily slid into the holder and all operating buttons are easily accessible from above. The digital display is easy to read. The bracket must be mounted werkezuglos depending handlebar diameters can be a little game with the click bracket be present. Shall this be so, you can thin the tape handlebar diameters increase slightly and the bracket is firmly seated. With a weight of just 185 grams of the headlights Trelock 950 ION is the perfect companion in your pocket. The light intensity can be between about 10 to about 70 LUX and a resulting battery life of approximately 6 hours to 45 hours, here it comes the manufacturer entirely on the set light intensity. Already on stage two to three the Trelock LS 950 ION is very bright. The battery, the LUX-setting and the burn time can be read on the LCD display on the lamp.can be selected via the Plus -and- minus key while the desired luminosity. Sunny lamp has inflicted no damage, the charging connector for the USB connector is covered by a rubber flap, thus preventing the ingress of rainwater. The ION in the model name in this case indicates the reference to a built-in lithium-ion battery. This is permanently installed in the air and can be charged with a USB cable. The lamp is of course a STVO approval . This bicycle light is the test winner at Stiftung Warentest from the issue 9/2013. Since we can buy separately the front lamp also, is our recommendation for a suitable taillight the battery rear light LS 320, also of Trelock. Once out of the bicycle lighting test in combination with the Trelock 450 bicycle light. The processing of the lamp is very good and high quality. The individual components have reasonable transitions and no sharp corners or Did. The feel gives you the feeling that one suggestive of eyes before. In the veranschlagtem price but is otherwise expected. During our tests, we have the Trelock battery lamp 89 Euro found online at Amazon. As a conclusion, we can say the bicycle lamp Trelock LS 950 ION is the ideal partner in the city and on highways. It will be seen by other road users and can recognize their own way good. Our practice test has passed the lamp with flying colors. With the maximum Lux setting and associated battery power can easily cover the daily commute. 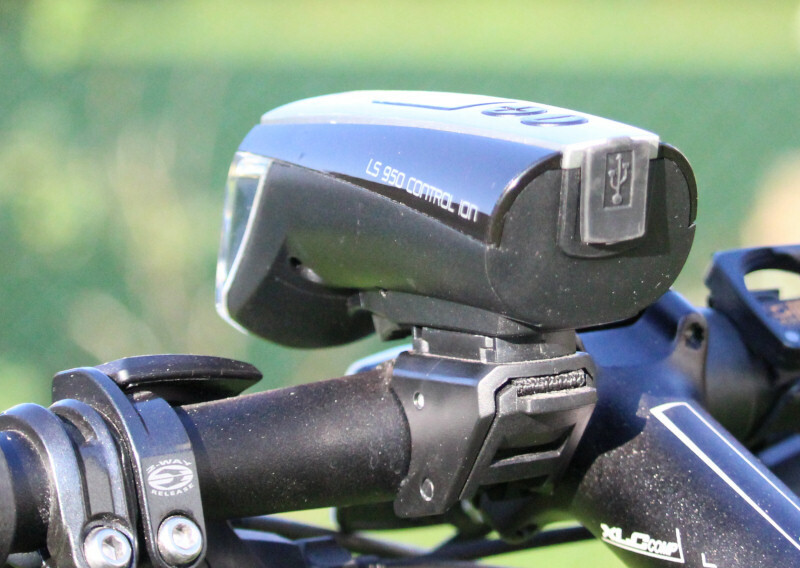 Our review of the bike light: 4 of 5 stars because the illumination angle may be slightly larger still and the battery at the maximum level is very quickly empty. Nevertheless Trelock did a great job with this model.